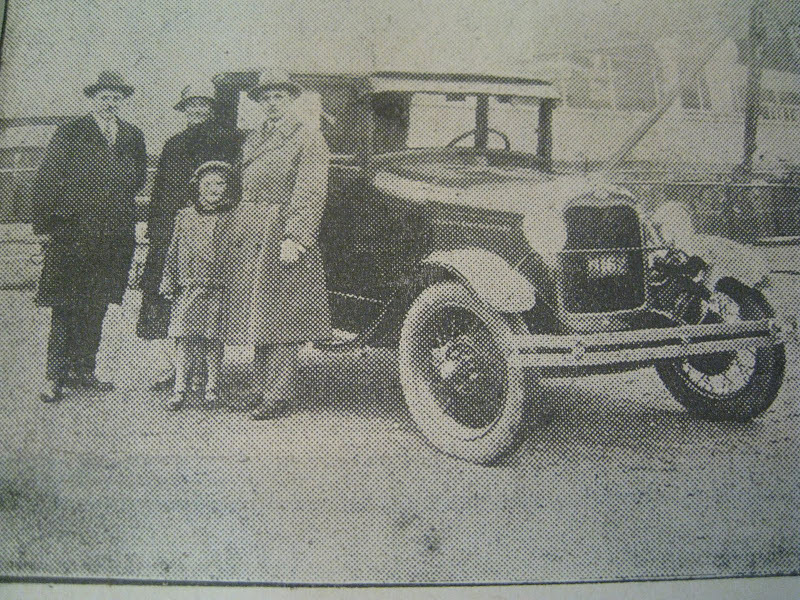 This picture is of the first Model A delivered to this family 26 of Jan 1928 In Denmark. 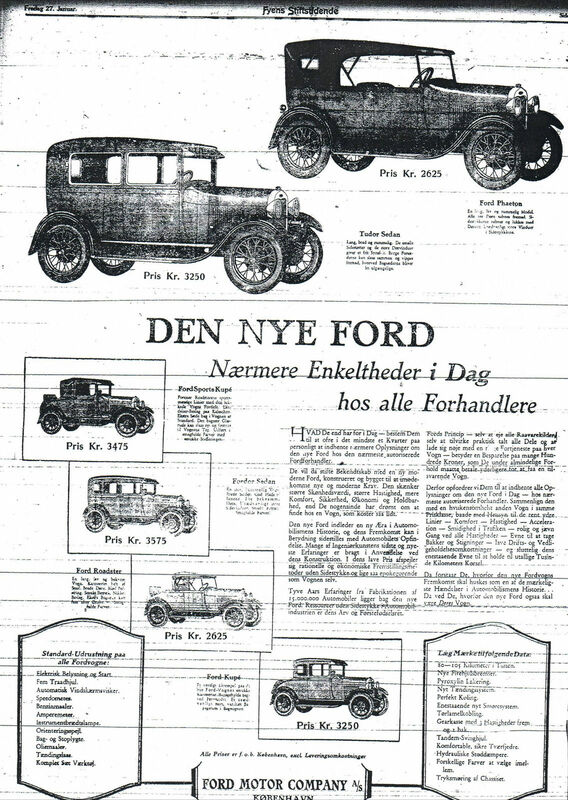 Obviosly there were several cars delivered very early to Denmark as we can read in the newspapers from Jan 1928 that Ford dealers had the NEW FORD for test drive. 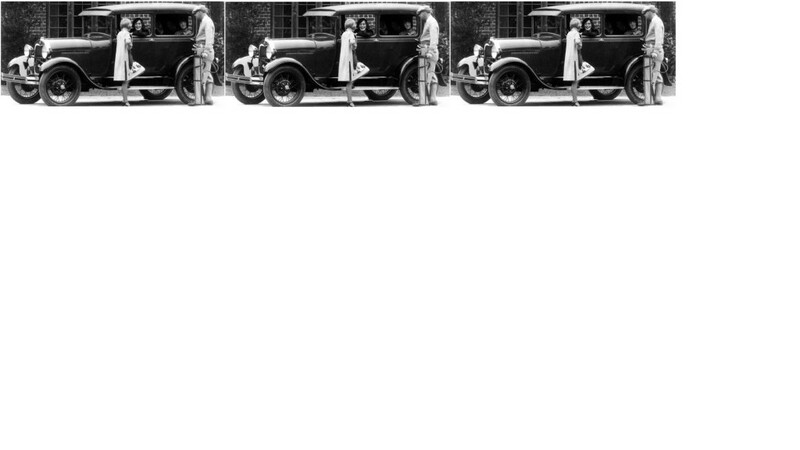 The ship must have left the US in December 1927 with all those cars. These must have had very low chassis numbers. 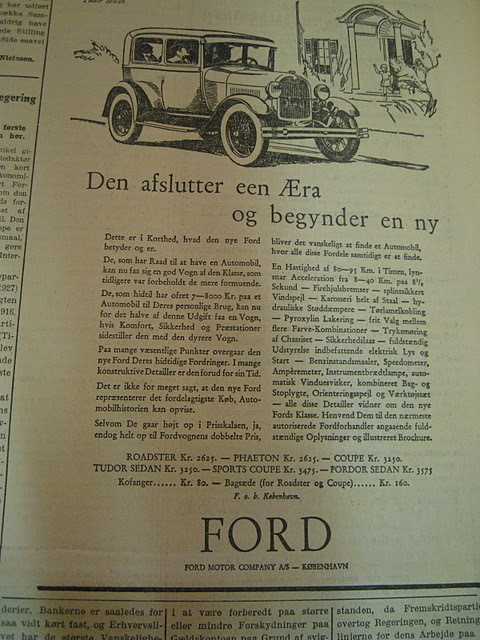 The Model A Roadster A 189 can have been one of the cars that came with the same boat as the cars we now can read in Danish newspapers. A189 was delivered to Stromstad Sweden and sold February 1928 to a Swedish customer. A189 is still the “oldest” known Model A. It has the lowest known chassis number. Nice car that I did study very well as long as it was in Sweden. 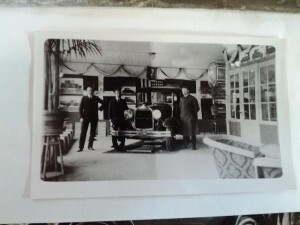 Experts in USA know more about those early Model A´s and much can be found at the www.mafca.com website. 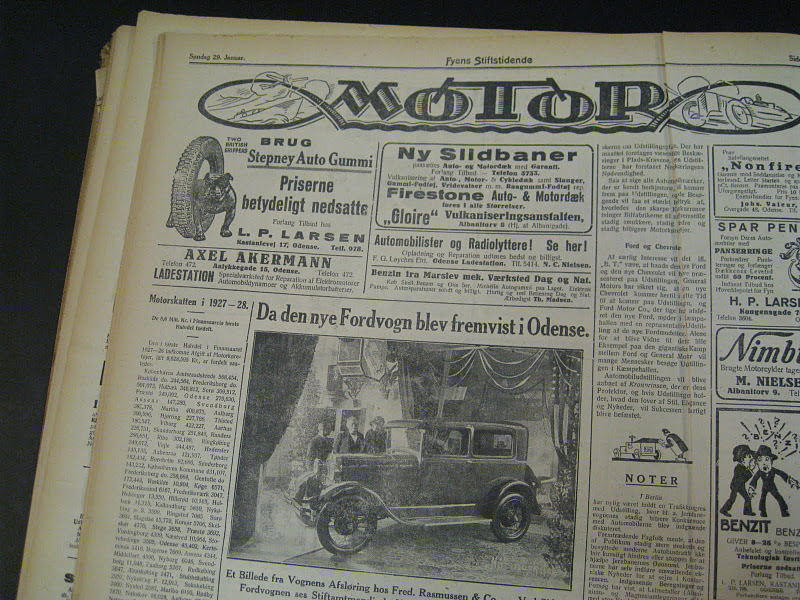 We do search för information about the early Model A introduction all over the world. 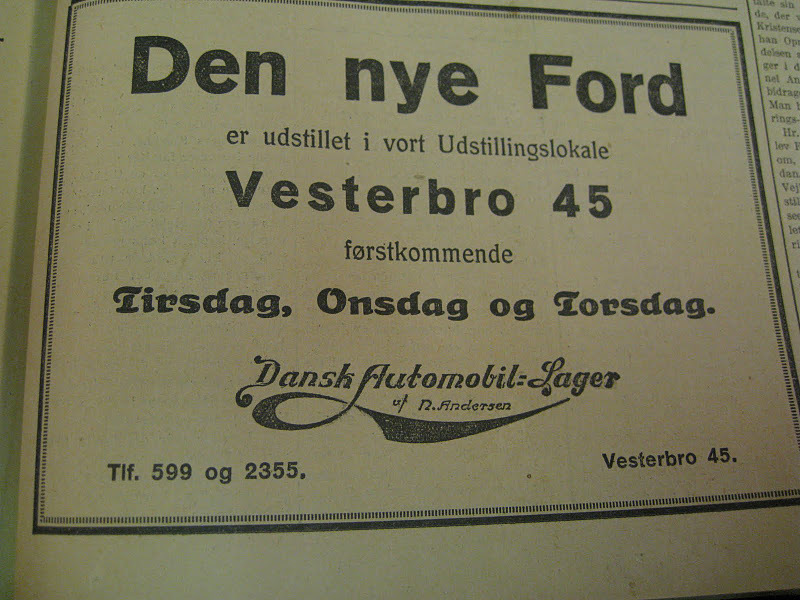 Here follows some “test” material from Denmark. The material needs more work.